The driver lost traction at Rudd Park and this truck went into the lake. A north Iowa boater got a little more lake than he bargained for yesterday morning in Rudd. 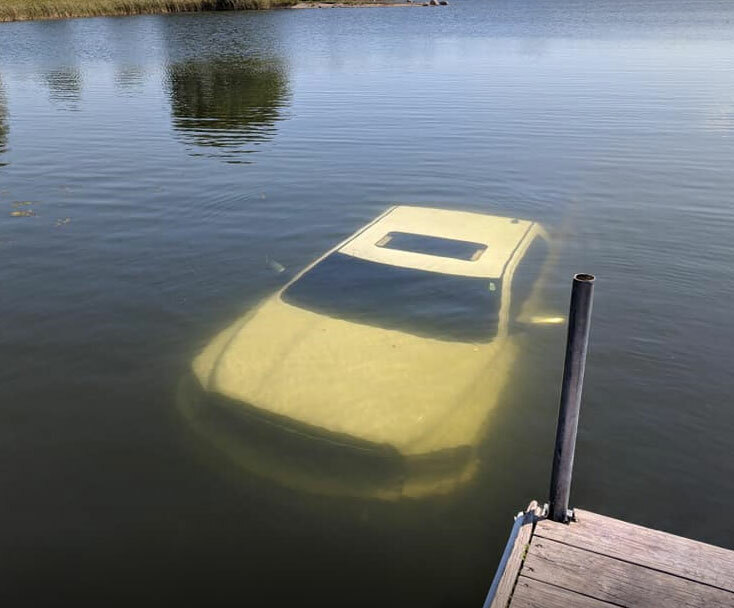 The Floyd County Sheriff’s Office says a truck sank to the bottom of the lake at Rudd Park shortly before 11:30 Tuesday morning. The incident happened when a 2015 Dodge Ram, along with a boat on a trailer, lost traction while being backed down a boat ramp and caused both the truck and boat to start floating. The driver, James Lines of Marble Rock, was able to get out of the truck before it sank to the bottom of the lake. No injuries were reported. Damage to the truck is estimated at $20,000. 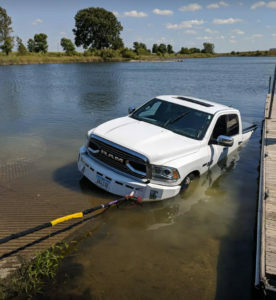 Pulling the truck out of the water.